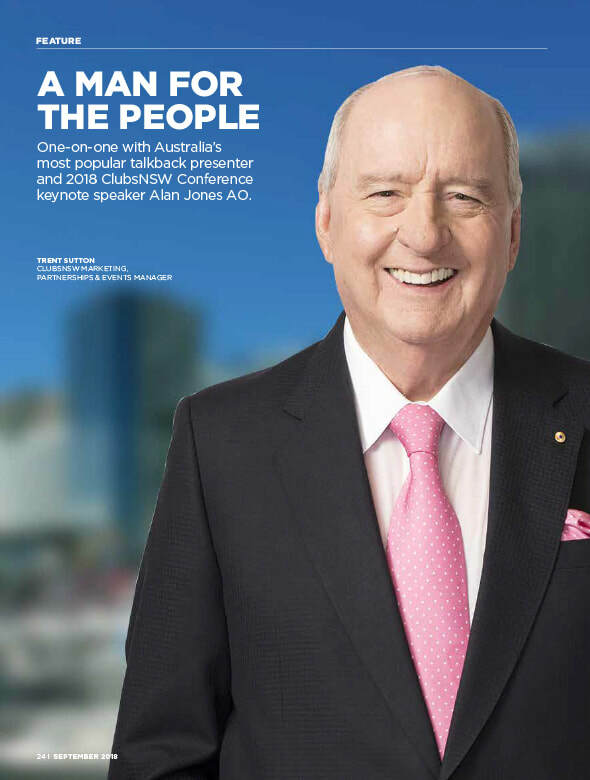 One-on-one with Australia's most popular talkback presenter and 2018 ClubsNSW Conference Keynote Speaker, Alan Jones AO. 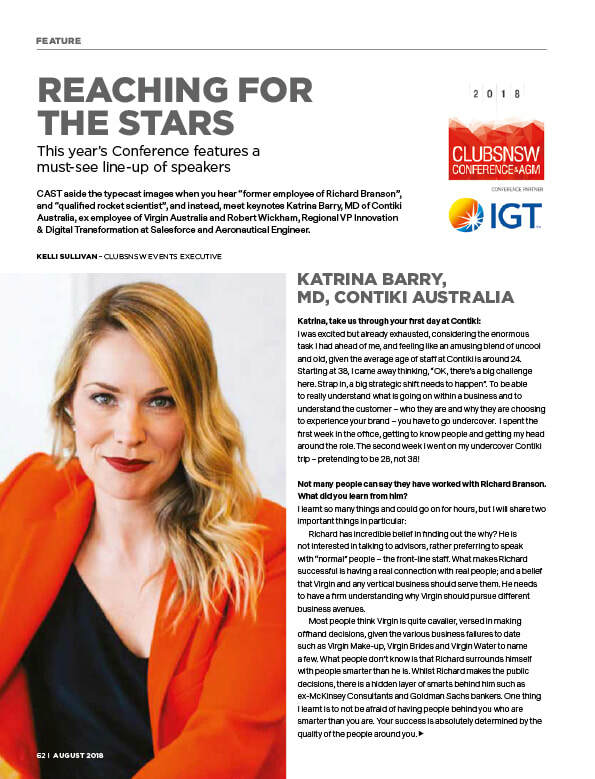 Meet keynotes Katrina Barry, MD of Contiki Australia, ex-employee of Virgin Australia and Robert Wickham, Regional VP Innovation & Digital Transformation at Salesforce and Aeronautical Engineer. 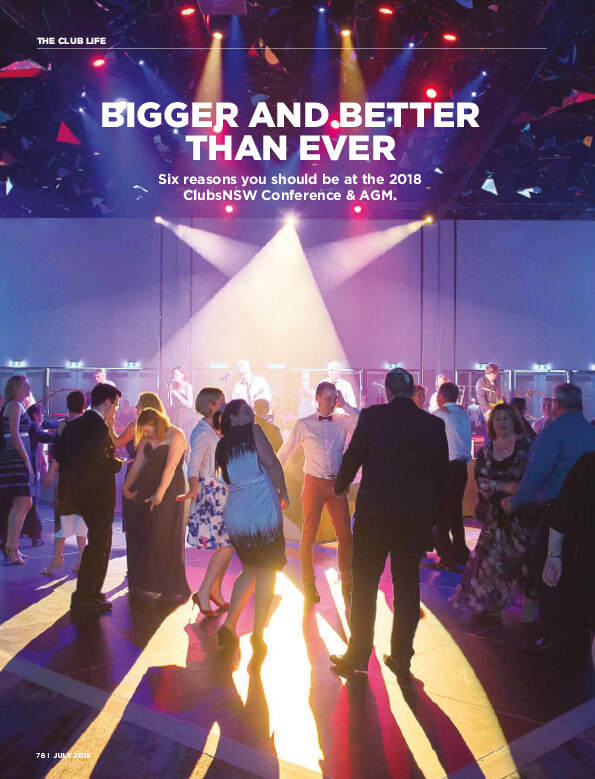 Six reasons why this year's conference is an absolute must for directors and club employees. From relevant topics to great entertainment, you can't miss it.